Download registration form HERE or register ONLINE. 11:30 AM Capon Springs Tour. Join our host, Jonathan Bellingham, for a tour of this. third generation family-owned and operated resort. I-81 / Exit 296 for Strasburg. Turn left on Rt. 55 West and follow 12 miles to road on right marked Capon Springs Grade (Rt. 609). Rt. 609 is exactly 2 miles after crossing bridge at Duck Run. Follow this dirt road for 3½ miles to Capon Springs. 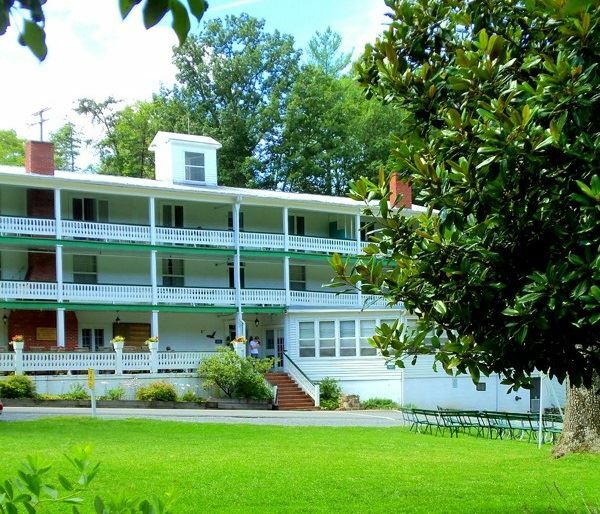 Capon Springs is offering an all-inclusive overnight discounted package is available for Wednesday or Thursday at $99 per person. This rate covers lodging, all you can eat dinner and breakfast, taxes, gratuities and all recreation activities/programs except golf and spa. Call 304-874-3695 to book your reservation and mention SVTA Meeting. In addition the add on services below can be arranged with minimum of one week’s advance reservations. Call 304-874-3695 or email reservations@caponsprings.net. GOLF: Basic package of 9 holes with cart is $35 per person.